When I started listening to this book I did not know that I was in the mood for a family drama. It was the perfect book at the perfect time for me. I owned this audiobook since March (when it came out in Germany) but I had never been too interested in it. This book is about the story of an Indian family that moved to America. It takes place at three different times: in the 70s in India, in the 80s in New Mexico, and in the 90s in Seattle. Amina is the main character that we follow during the book and with each chapter we learn more about the family dynamics. This is not an action-packed book. In fact, not much is happening. Every plot twist is quite predictable. This book is about relationships and understanding. How life-events change people and their perspectives. 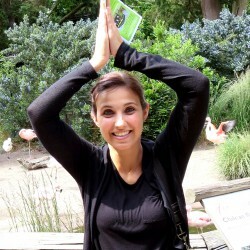 How our own behavior influence our surroundings. This book is a family drama. It is about love, and jealousy, and loss, and finding home. At the right time in the right mood this is a perfect book. 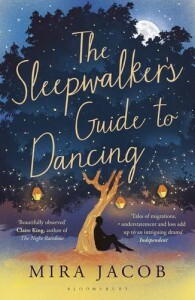 I was lucky to be in the right mood when I listened to Jacob’s wonderful The Sleepwalker’s Guide To Dancing.